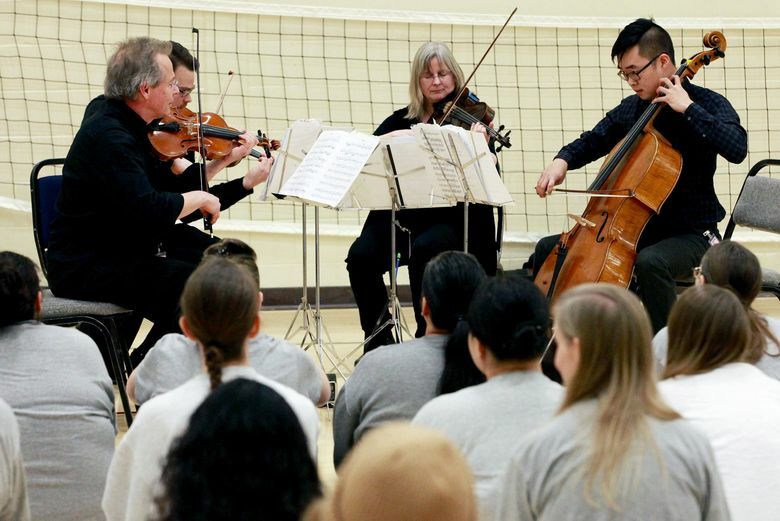 The motto of the Seattle Symphony’s Community Connections programming is “everybody in and nobody out,” and that spirit motivated a string quartet of SSO players to visit the Washington Corrections Center for Women. 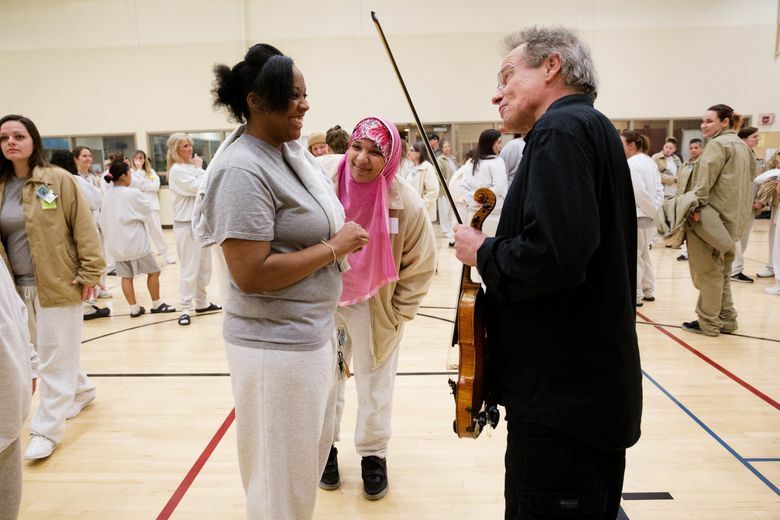 It was the first visit by Seattle Symphony players to a women’s facility. The players headed to the complex near Gig Harbor on a Tuesday night in January to play selections in the gym by Joseph Haydn, Franz Schubert, Jean Sibelius and other rock stars of chamber music. About 120 women had signed up to attend, said Chrislee McCounnaughey, community-partnership program coordinator at the center — and attendance was purely voluntary. Violinist Stephen Bryant discussed the composers and their works before the players launched into each piece and held a lively Q&A session after the concert.